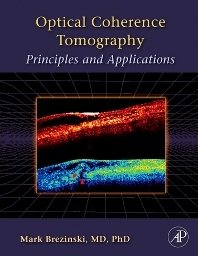 Optical Coherence Tomography gives a broad treatment of the subject which will include 1)the optics, science, and physics needed to understand the technology 2) a description of applications with a critical look at how the technology will successfully address actual clinical need, and 3) a discussion of delivery of OCT to the patient, FDA approval and comparisons with available competing technologies. The required mathematical rigor will be present where needed but be presented in such a way that it will not prevent non-scientists and non-engineers from gaining a basic understanding of OCT and the applications as well as the issues of bringing the technology to the market. Optical Coherence Tomography is a new medical high-resolution imaging technology which offers distinct advantages over current medical imaging technologies and is attracting a large number of researchers. Provides non-scientists and non-engineers basic understanding of Optical Coherence Tomography applications and issues. optical engineers; biomedical and clinical scientists; clinicians; medical doctors; researchers; manufacturers of OCT devices.